Holly Colvin has announced that she will be returning to play for the Sussex Women’s side this season after taking a break from the game. 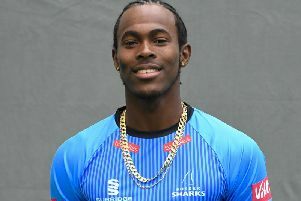 The 25 year-old left-arm spinner, who captained the Sussex Women’s team in 2013, decided to pursue opportunities away from the game at the end of that season, after being part of the England set-up since the age of 15. Her debut came for her country in 2005 when she featured in the Test Match against Australia at Hove and became the youngest player of either gender to play for England. Chichester-born Colvin was a member of England’s World Twenty20, World Cup and Ashes-winning sides in 2009 and helped them regain the Ashes in 2013. She has also been part of a Sussex team that has enjoyed unprecedented success, winning the County Championship several times in recent seasons. Colvin is looking forward to returning to play for Sussex in 2015 and said, “I’m very excited to be back playing some old faces again and seeing some of the opposition too. However, I’m actually really excited to play with the young talent coming through Sussex’s ranks. “I’ve only been out of the domestic game for a year and already the squad has changed dramatically so it will be good to see what they can do. Sussex’s Director of Women’s Cricket Charlotte Burton said, “We are delighted to have Holly back playing for Sussex and are pleased we didn’t have to wait long for her return to the game. We missed Holly last year, not just as a player but her personality in the dressing room.